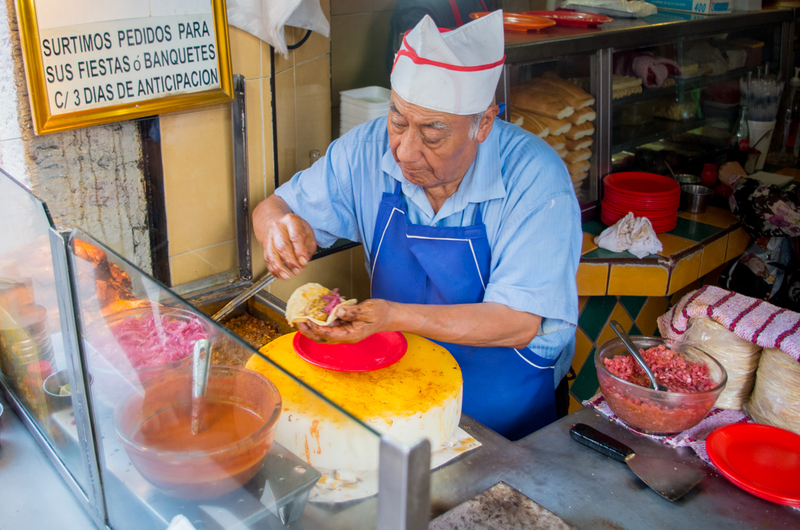 We’ll taste different types of tacos, a delicious agua fresca, an iconic sandwich, great coffee, and a glass of pulque (a pre-Hispanic fermented drink that was considered the nectar of the gods by the Aztecs) in Mexico City’s historic center. 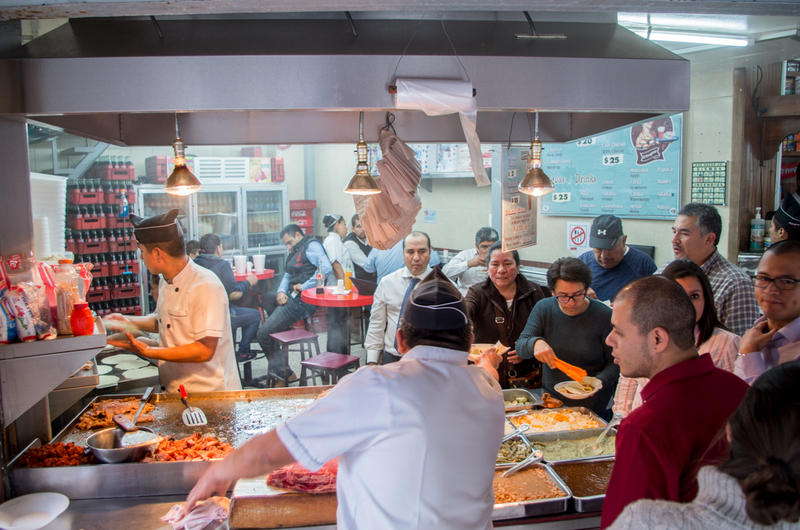 We’ll also visit one of Mexico City’s most beloved markets where, if you’re adventurous, we can try grasshoppers and mezcal. We’ll finish in a trendy and lively pulquería, a bar where people gather to drink, eat and socialize. On this crawl, we’ll visit the oldest park in the Americas and walk among historical buildings that have been around since colonial times while you learn about the history of the city and its secrets. Bring your appetite and comfortable walking shoes as we go on an unforgettable journey into Mexican cuisine and history. I was born in Mexico City to a family of food lovers. My mother inherited the family restaurant where she grew up. Consequently, I also grew in the restaurant business visiting markets and helping in the kitchen from an early age. I found my true passion for food when he moved to the U.S.A. at the age of 20. 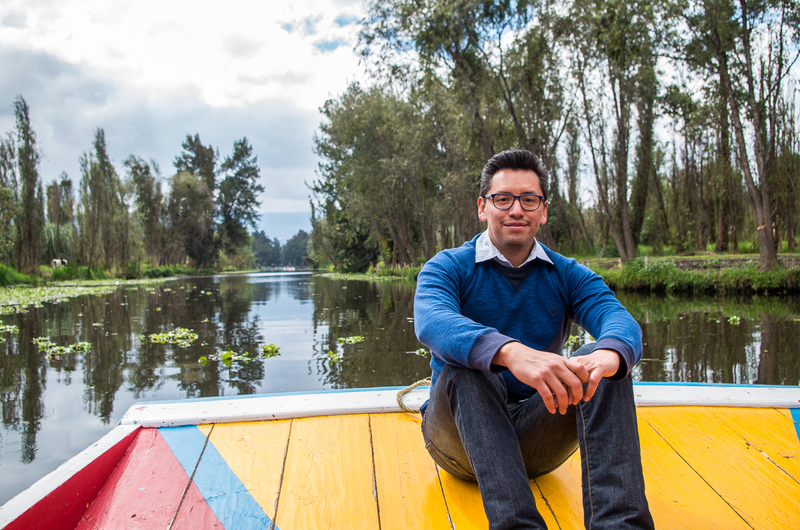 I saw that my country´s cuisine was misunderstood and wanted to educate people through my food blog. In 2010 I moved back to Mexico to research my native country´s cuisine deeper. 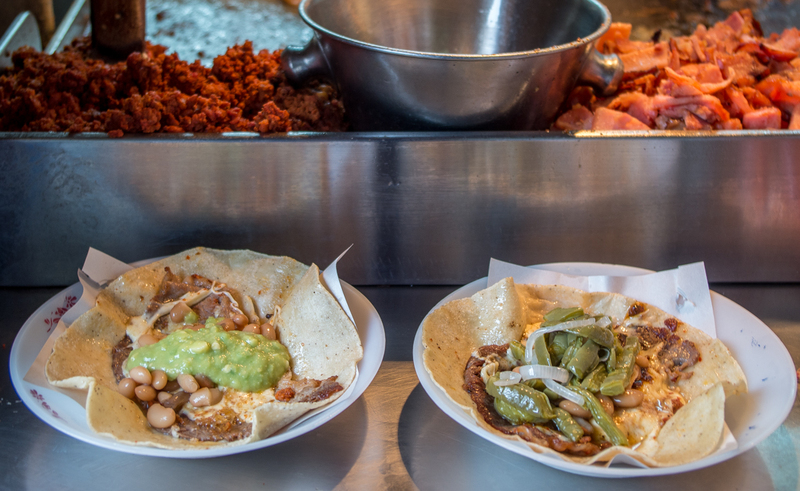 I became a fervent Mexico City and Mexican food advocate. 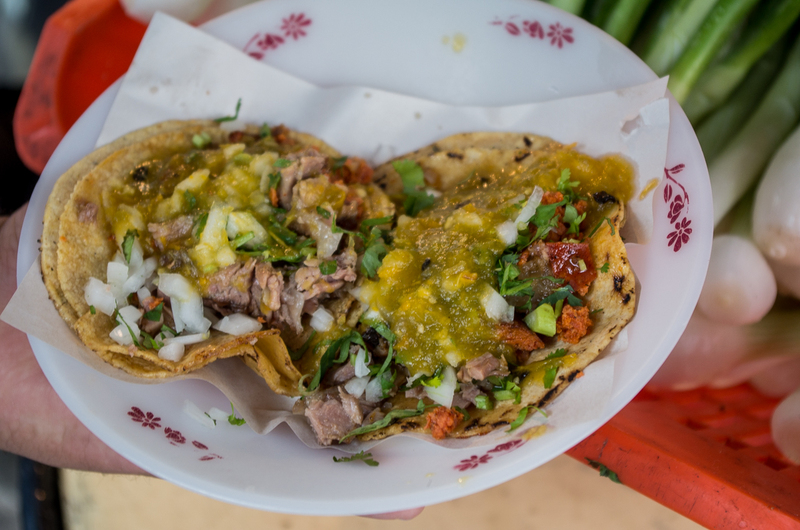 I love showing my city to friends and travelers and teaching them how diverse and delicious Mexican food really is. My love for history, photography, food, cooking, and travel motivated me to become a tour guide full time. I understand that all visitors are different and they should have a customized experience of Mexico.